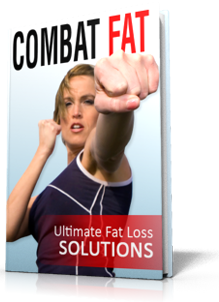 Jeff Witt Fitness Exercise and Nutrition for Office Cubicle Dwellers! Your sweet tooth has gotten you into lots of trouble over the years. All those diets you abandoned for a slice of cake, all the extra calories you took in ‘just to have a taste of something sweet’ before bed. Yes, sweet treats sure are tempting, but the life-long repercussions far outweigh the momentary pleasure. To help you conquer your sweet tooth, I’ve identified the 5 sweet traps you should avoid, as well as a healthy substitute for each. Try This: Swap your sickly-sweet candy out for a handful of unsalted nuts, a few pieces of unsweetened, dried fruit, or a small square of very dark chocolate (at least 72% cocoa content). Cake, cookies, brownies, pastries, donuts, and pies are popular vehicles for sugar consumption. While these may not taste as sweet as candy, the combination of refined sugar and white flour will spike your blood sugar just the same. Try This: Put down the cookie and reach for a piece of fresh, seasonal fruit. Fruit is nature’s candy, and is every bit as blissful as a slice of cake. Serving a beautiful fruit platter to guests can be as delightful as any baked treat. Try This: Let’s face it, cold, creamy and sweet makes a delicious combination. Create a healthy protein-packed ice cream with the recipe below. A regular can of soda pop contains the equivalent of 10 packets of sugar. That’s more sugar than you should consume in a week’s time! Soda pop is something that you get into the habit of drinking, and do without thinking. The good news is that a habit can be broken and then replaced with something healthier. Try This: Take soda pop out of your diet. Period. There are plenty of other, healthier, beverages available to you. Try the recipes for Spa Water below. These items are even more deadly than most treats since they are consumed through a straw and don’t make you feel full. Let me assure you that even though you don’t feel full, like you would after a piece of cake, you’re still taking in a boatload of sugary calories. Try This: Make your own healthy blended drinks at home by using natural sweeteners like stevia, or simply by using fruit. Take the ice cream recipe below, add non-fat milk and mix in the blender for a high protein milkshake. Eliminating refined sugar from your diet will do so much for your health, as well as your weight. This means that each day spent in discipline will bring you closer to the day that sugar no longer has a hold over you. Imagine how much slimmer and healthier you will be! It’s my goal to get you into the best shape of your life. Call or email today to begin your transformation. Jeff Witt is a Personal Trainer, holds a Bachelor of Science Degree, is a P90X Qualified Fitness Instructor and a health and fitness writer. As a former Couch Potato himself, he inspires others to put down the TV Remove and starting living a healthy and fulfilling life. 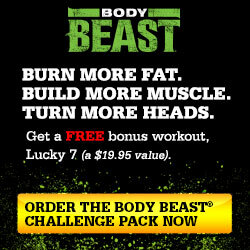 Body Beast | Get Big… FAST! Which of These 7 Reasons Motivate You?